View More In Carpet Sweepers. 3M presents a sweeping victory over dirt and debris. 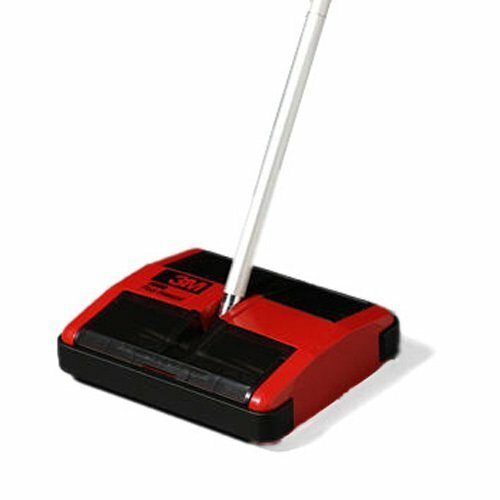 The 3M 6000 and 4500 floor sweepers whisk away dirt and debris from virtually any type of floor surface, carpet to tile, linoleum to wood. Two rubber rotor blades instead of old-fashioned brushes turn toward each other, efficiently collecting both large and small debris from almost any floor surface. No more bristles to wear out or clog with hair, thread or string. The super-efficient eight-bladed rotor blades easily pick up debris such as dirt, lint, coins, straws, drink cup, covers, hair, grass, sand, cigarettes and crumbs. If you have any questions about this product by 3MAA0, contact us by completing and submitting the form below. If you are looking for a specif part number, please include it with your message. Push Sweeper, Walk Behind, 27", 8 gal.